Dan Leightman is a partner in the International Tax Group. Utilizing more than 30 years of experience as an in-house senior corporate tax executive, he handles a broad range of tax matters including foreign tax, mergers and acquisitions, worldwide effective tax rates, income tax, foreign currency issues, tax accounting, taxation of structured financial products and international joint ventures. Prior to joining Gardere, Mr. Leightman was Vice President-Taxes at Cooper Industries, Ltd., and Director of Taxes at Intel Corporation and Parsons Corporation. 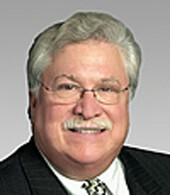 Mr. Leightman is a frequent speaker for numerous tax conferences and seminars sponsored by IFA, Tax Executives Institute, Practicing Law Institute, Internal Revenue Service International – George Washington University, World Trade Institute, CITE, Risk Magazine of London, Financial Times of London, and Structured Finance Institute among others. - Co-Author with C. Hanna, M. Martin, M. Donohue and C. Lowell, Corporate Income Tax Accounting (Warren Gorham and Lamont) (2009). - Co-Author with Gregory E. Stern, Section 338 (h)(10) and IPOs, Tax Issues in Recent Transactions, at S-49 (2008). - Author, Chapter 11: A View from the End User, The Use of Derivatives in Tax Planning (Frank J. Fabozzi Inc., 1998). - Co-Speaker with Mark Martin and Ira Sheppard, U.S. Webcast for the American Bar Association Tax Section: Treasury Regulations Section 1.882-4: Treaty Override and Related Tax, Financial Statement, and Ethical Considerations (Oct. 29, 2008). - Speaker, Address at the Houston Business and Tax Law Journal Symposium at the University of Houston Law Center: Patents on Tax Strategies, Protecting Innovation (Oct. 16, 2007). - Speaker, Address at the Annual TEI Houston Chapter Tax School: Branch Transactions, Section 987, Houston, TX (Apr. 30, 2007). - Speaker, Address at the International Tax Forum: Application of Principles of Corporate Finance to Dividend Repatriation, Houston, TX (Apr. 5, 2007). - Panelist, Annual Tax Policy and Practice Symposium – Understanding the Global Tax Arena - Risk & Regulation: Session 11 – The Changing Landscape on Penalties, Washington, DC (February 1 - 2, 2007) (was also published in “TAXES - TAX MAG.,” June 2007). - Speaker, Address at the Tax Executives Institute: Legal Ethics Program – Back Dated Stock Options, Houston, TX (Dec. 5, 2006). - Speaker, Address to the Tax Section of the Houston Bar Association: Deferred Compensation, Benefit to Executive – Impact on Company (Nov. 15, 2006). - Speaker, Address at the ATLAS Intermediate U.S. International Tax Update Seminar: Foreign Tax Credit Planning for Mergers & Acquisitions, Houston, TX (Oct. 27, 2006). - Speaker, Address for the CITE U.S. Merger & Acquisition Tax Update: Reviewing Acquisition Agreements/Tax Due Diligence (Oct. 23, 2006). - Speaker, Address to The Whitehall Club: Impact of the U.S. International Tax System on Competitiveness, Houston, TX (Sept. 8, 2006). - Speaker, Address to the Dallas Bar Association: Special Case Study, IPO – Section 338(h)(10), Dallas, TX (July 10, 2006). - Speaker, Address at the Wednesday Tax Forum: Practical Considerations Under the New Deferred Compensation Rules, Houston, TX (May 30, 2006). - Speaker, Address at the Houston TEI School: Evaluating Financial Products and the Role of Principles of Corporate Finance, Houston, TX (May 4, 2006). - Speaker, Address at the ATLAS Legal, Tax and Financial Aspects of Captive Insurance Companies Seminar: The Role of Principles of Corporate Finance in Tax Planning, Las Vegas, NV (Feb. 27, 2006). - Speaker, Address at the Council for International Tax Education: U.S. Mergers and Acquisitions Update, Section 338(h)(10), Chicago, IL (Feb. 6, 2006). - Speaker, Address at the Downtown Kiwanis Club: Impact of the U.S. International Tax System on Global Competitiveness (2006). - Speaker, Address at the Tax Officers Summit: The Role of the Principals of Corporate Finance in Tax Planning, Tampa, FL (2006). - Speaker, Address at the American Petroleum Institute 72nd Annual Federal Tax Forum: Current Issues and Considerations with Mergers and Acquisitions, Houston, TX (2006). - Speaker, Address for the Intermediate U.S. International Tax Update: Repatriation Strategies, Dallas, TX (2004). - Speaker, Address: U.S. Transfer Pricing Planning & Controversies, Houston, TX (2004). - Speaker, Address at the Hot Issues in International Tax Seminar: Latest Regulatory Developments, Houston, TX (2004). - Speaker, Address: Inbound Transfer Pricing, New York, NY (2004). - Speaker, Address: Maximizing Current U.S. Tax Savings on Exports & Advanced International Tax Strategies, New Orleans, LA (2003). - Speaker, Address for the Intermediate U.S. International Tax Update: Foreign Tax Credit Issues in Mergers and Acquisitions, Houston, TX (2003). - Speaker, Address at the Advanced Seminar on U.S. International Tax: Foreign Tax Credit Issues in Mergers and Acquisitions, New Orleans, LA (2002). - Speaker, Address at the Recent U.S. Tax Laws Affecting European Multinational Companies Operating in the U.S. Conference: Recent Developments in U.S. Corporate Tax Accounting Practices and SEC Financial Reporting, Paris, France (2002). - Speaker, Address at the European Tax-Advantaged Structured Financial Products Conference: How Corporate Users View Structured Financial Products: User Panel, Paris, France (2002). - Speaker, Address at the Introduction to Tax Issues Involving Mergers and Acquisitions Seminar: Introduction, Overview and Basic Fundamentals of Mergers and Acquisitions, Chicago, IL (2001). - Speaker, Address at the Taxation of Mergers and Acquisitions Seminar: Overview, Beverly Hills, CA (2001). - Speaker, Address for the Tax-Advantaged Financial Products Update: Current Tax-Advantaged Products for Corporate Business and Tax Planning Purposes, New York, NY (2001). - Speaker, Address at the Taxation of Mergers & Acquisitions Seminar: Overview of Mergers and Acquisitions, New York, NY (2000). - Speaker, Address at the Taxation of Financial Products and Derivatives Seminar: A Corporate Tax Director’s Perspective on the Marketing of Financial Products, New York, NY (2000). - Speaker, Address at the Taxation of Mergers and Acquisitions Today Seminar: Overview of Mergers & Acquisitions, Chicago, IL (2000). - Speaker, Address for the Intermediate U.S. International Tax Update: Foreign Tax Credit Implications of Mergers and Acquisitions, Boston, MA (2000). - Panelist, Tax-Advantaged Structured Financial Products Seminar: How Corporate Users View Structured Financial Products – Panel Discussion, Paris, France (2000). - Speaker, Address at the Maximizing Tax Benefits from Offshore Structures Seminar: Inversion, Washington DC (2000). - Panelist, Current Hot Issues in U.S. International Tax Planning Seminar: Recent Corporate Tax issues Facing U.S. Multinationals – A Panel of Corporate Practitioners, Santa Monica, CA (1999). - Speaker, Address at the Taxation of Mergers and Acquisitions Seminar: Overview of M&A and Special Case Study, New York, NY (1999). - Speaker, Address at the Tax Aspects of Currency Fluctuations Seminar: Practical Examples of Tax Issues in Relation to International Mergers and Acquisitions, New York, NY (1999). - Speaker, Address at the Taxation of Financial Products and Derivatives Seminar: Corporate Perspective on the Use of Tax-Advantaged Financial Products, New York, NY (1999). - Speaker, Address at the Source of Income and Allocation & Apportionment of Deductions Seminar: Allocation of Interest Expense (excluding losses under Sec. 865(j)), Chicago, IL (1999). - Speaker, Address at the Taxation of Mergers and Acquisitions Seminar: Overview of Mergers & Acquisitions, San Francisco, CA (1999). - Speaker, Address at the 2nd Annual Structured Corporate Finance Conference: How Corporate Users View Current Products and Their Views on Participating in a Transaction, New York, NY (1999). - Speaker, Address at the Taxation of Financial Products and Derivatives Seminar: Corporate Perspective on the Use of Tax-Advantaged Financial Products, San Francisco, CA (1999). - Speaker, Address for the International Tax Planning and Compliance Update: U.S. Tax Aspects of Organizing a Foreign Corporation, Partnership or Trust, Boston, MA (1998). - Speaker, Address at the Reducing the Worldwide Corporate Effective Tax Rate Seminar: Computing the Worldwide Effective Tax Rate, New York, NY (1998). - Speaker, Address at the 1st Annual Cross-Border Structured Finance Conference: Issues Corporate Users Consider in Regard to Participating in a Structured Finance Product, New York, NY (1998). - Chair, Advanced Seminar on U.S. International Tax, New York, NY (2002). - Chair, Intermediate U.S. International Tax Update, Houston, TX (2002). - Chair, Taxation of Mergers & Acquisitions Seminar, New York, NY (2001). - Chair, Introduction to Mergers & Acquisitions Seminar, Houston, TX (2001). - Chair, Advanced Seminar on U.S. International Tax, Dallas, TX (2001). - Chair, Intermediate U.S. International Tax Update, Houston, TX (2001). - Chair, Intermediate U.S. International Tax Update, Houston, TX (2000). - Chair, U.S. Taxation of Mergers & Acquisitions Seminar, Paris, France (2000). - Chair, Advanced Seminar on U.S. International Tax, Houston, TX (2000). - Chair, Taxation of Mergers & Acquisitions Today Seminar, Beverly Hills, CA (2000). - Co-Chair, Maximizing Tax and Financial Benefits for a Captive Insurance Company Seminar, New York, NY (2000).